This natural intervention is the ideal antidote to over-processed, damaged, prematurely aged and troubled skin that is aggravated by synthetic skin care products. 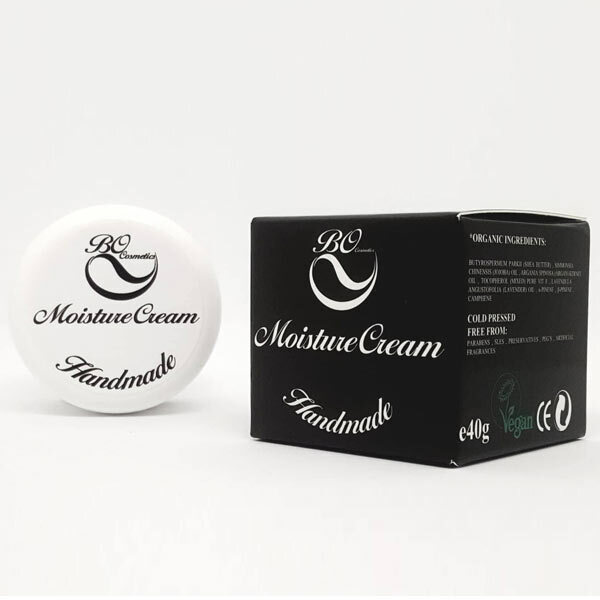 Its natural anti-inflammatory properties reduce red, irritated and inflamed skin safely and gently.Lightweight hydration is the key to this daily cream’s benefit for oily and combination skin, flooding dehydrated skin cells with moisture and eliminating troublesome oily build-up without causing acne and blackhead breakouts. Helps to fight pimple and rosacea. For men and women of all skin types and ages. Apply once in the morning and again at night before bedtime. Before applying the cream, tone skin with Cleanser and pat dry. Smooth cream on evenly, avoiding eyes and broken skin. As protective day cream or super-moisturising night cream. Best applied on moist skin – after a bath or a shower. Melt a pearl-sized amount between the palms of your hands and massage gently into your skin, in a circular motion to help stimulate circulation, until fully absorbed. Safety Information: Avoid contact with eyes or broken skin. If any kind of skin discomfort or irritation occurs please discontinue use. The consistency of the natural ingredients contained in our products can change under the influence of heat or cold. The appearance of cosmetics may be slightly changed, but it will not affect the quality or benefits of using them. Indications: Reaction to a given raw material is an individual matter. Before using any product, it is recommended to perform a test on a small piece of skin to eliminate adverse reactions.